■ Laparoscopic augmentation enterocystoplasty with or without urinary diversion is technically feasible and successfully emulates the established principles of using an open approach while minimizing operative morbidity and maximizing clinical effectiveness. 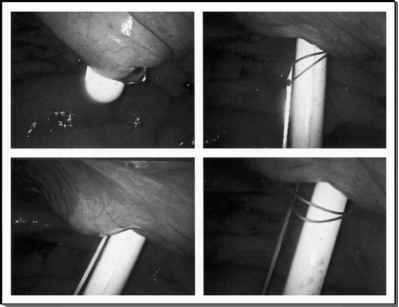 ■ Various bowel segments can be fashioned and anastomosed to the bladder laparoscopically. ■ The increased costs associated with laparoscopy and with minimally invasive surgery in general have been a significant disadvantage; however, a previous report on the costs of laparoscopic procedures concluded that increased surgical experience reduces the surgical time and length of the hospital stay, thereby decreasing the overall costs. ■ The increased use of reusable instruments results in considerable economic benefits. Implementation of appropriate time and cost saving strategies will ultimately result in decreased expenses associated with laparoscopy (16). ■ Although laparascopic enterocystoplasty is currently a lengthy procedure lasting twice as long as open surgery, further technical modifications and increasing experience will continue to reduce the surgical time involved. ■ Laparoscopic augmentation cystoplasty is an attractive option for patients with complex co-morbid illnesses who desire an improved quality of life similar to that associated the traditional open procedure. ■ A clinically significant positive impact on patient postoperative QOL related to bladder control compared with the preoperative status can be achieved using a laparoscopic approach, which does not negatively impact the patient's bowel control. ■ Our experience suggests that laparoscopic enterocystoplasty with or without urinary diversion is a viable alternative to open enterocystoplasty.